Quincy Ford has rare skills on the court, and an unusual educational background. Walking into his first class as a Northeastern freshman 18 months ago — Natural Disasters, incidentally — Quincy Ford had a problem. A few problems, actually. Apprehension can surface when a student makes the transition from high school to college. Ford definitely felt that. But his situation was different, because everyone else was already accustomed to learning in a classroom setting. Ford was not. He, along with all nine of his siblings, had been exclusively home-schooled, so Ford knew just one classroom: his family’s house in St. Petersburg, Fla. Unlike the other students, he had only one teacher, from kindergarten through high school: his mother, Denise. So when Ford initially walked into that Natural Disasters class, anxiety crept in, because there were important decisions to make — where to sit? what notes to take? — and unpleasant scenarios to consider. What if the teacher didn’t like him? What if he wasn’t prepared to be a college student? In hindsight, much ado about nothing. Sure, it took a little time to adjust to his new academic environment. It’s similar to how Ford reacts on the basketball court, where he’s a sophomore starting forward for the Huskies, who begin play in the Colonial Athletic Association tournament in Richmond, Va., Sunday afternoon as the No. 1 seed. 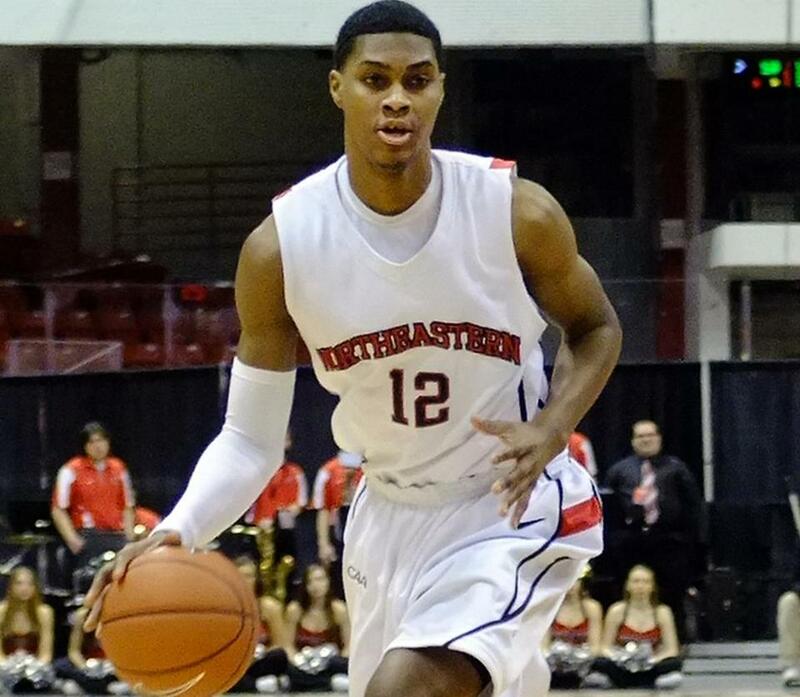 Two wins would give Northeastern its first trip to the NCAA Tournament since 1991. If the Huskies get there, Ford will be a big reason why. His school journey might be unconventional, although home-schooling is becoming more popular and accepted. But as a hard-to-guard 6-foot-8-inch slasher with 3-point range, Ford’s athletic profile simply mirrors his academic background. Ford embraces his individuality. He always has. Denise Ford and her husband, Alfredo, made the decision to home-school their children in 1993, the year Quincy was born. Public schools, by law, aren’t permitted to give the Fords the kind of Christian-based education they wanted. Private schooling for 10 children — seven boys and three girls; the oldest is 27; the youngest, triplet boys, turn 14 next month — would have been costly. So the Fords chose to do it themselves. Aligning with an organization called Accelerated Christian Education, the Fords found an academic model that appealed to them: the schooling would be collectively shaped by Denise but personally driven by the children. The younger ones would require more hands-on attention, obviously, but the older the children became, the more they were expected to do on their own. With so many children at different grade levels, school days, Quincy said, could be hectic. Starting at 9 a.m., the students would begin with the pledge of allegiance, a Bible verse, some devotions. The older ones then had the freedom to plot their own schedule, responsible for five core subjects (math, science, social studies, English, literature). Quincy would typically retreat to his bedroom to tackle his schoolwork, which was due by 3 p.m. When assignments weren’t completed to Denise’s satisfaction, it meant that whatever extracurricular activity was planned that day (for Quincy, mainly basketball) would be taken away. The arrangement wasn’t always smooth — Quincy said the lowest high school grade Denise gave him was a C-minus — but the results have been admirable. One of Ford’s older sisters earned an electrical engineering degree; his older brother, Skyler, is a senior at Howard University with plans to become an architect; a younger brother, Nykko, is a high school senior who is considering Harvard and Duke. As long as Ford’s grades were high enough — there is a home school association that Denise turns grades into — he would be eligible to play athletics for a high school, even though he wouldn’t be a student there. He chose nearby Gibbs High, playing for basketball coach Larry Murphy twice: first as a 5-11 freshman, then as a senior, when he had grown to 6-8. Ford was also active in AAU basketball, which is how Northeastern associate head coach Pat Duquette found him. But the father of a former Boston College player gets the assist. When Duquette was still coaching at BC, the Eagles had a center named Evan Ravenel, who transferred after his sophomore season to Ohio State, where he is now a senior. The Ravenels live in the Tampa-St. Petersburg area, where Evan’s father, Eugene, is involved with the local summer basketball scene. He knew of Ford, and rang Duquette. “Otherwise I don’t know if I ever would have seen him,” Duquette said. “I went down to Orlando to watch him in the national AAU showcase tournament, and he wasn’t even playing on any of the main feature floors. I had to travel 16 miles to Court 38 at Poinciana High School. When Duquette arrived at Ford’s AAU game, there were three other college coaches (not the hundreds camped out at the feature courts). Five minutes into the game, he was sold. Northeastern coach Bill Coen never recruited an athlete who had been home-schooled, and he was curious — not to mention a bit cautious — about learning how the system worked. Because of Denise Ford’s organization and attention to detail, he said, it was a surprisingly easy process. “She had a file as big as most college textbooks,” Coen said. “All the documentation, everything we needed to see, she had. “Whenever you recruit a student-athlete, you want to, first and foremost, feel in your heart that you can serve that student well, particularly from an academic standpoint. You don’t want to put a student in a situation where they couldn’t be successful, couldn’t handle the work here. Ford, who says he has a 2.7 GPA at Northeastern, majoring in human services, needed a few weeks to acclimate to college classes. But he made an immediate impact on the court for the Huskies, averaging 11.5 points per game in his first year and 12.9 as a sophomore. He’s not the leading scorer — seniors Joel Smith (16.5) and Jonathan Lee (13.8) produce more points — but Ford’s height, offensive range, and skill set make him a difficult matchup for opponents, and set him apart from most everybody else. “Every now and then he’ll make a play where you realize that nobody else on the court could make that play but Quincy,” Coen said. “I think we knew his potential — and that’s the big word that everybody uses with Quincy. Despite the occasional adolescent pangs of not going to a public school — “the only reason I thought like that was because I sometimes got tired of my brothers, hanging around them all day and all night” — Ford is grateful. He played sports, had friends, twice went to the prom. Typical school-age experiences. For many, Ford’s academic journey is difficult to fathom. For him, it’s been all about faith and family. Michael Whitmer can be reached at mwhitmer @globe.com. Follow him on Twitter @GlobeWhitmer.